Growing weed is easy but growing top shelf Cannabis is a skill. 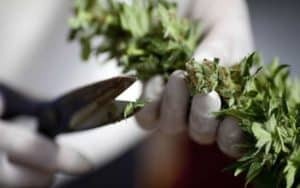 Beginner growers may seem overwhelmed by the long list of fundamentals that the Cannabis grower must abide to, so below is my 8 steps to growing your own bud: from seed to harvest. Not everyone has the privilege of growing commercially in a football pitch sized warehouse that is fully compliant with the laws and regulations in that particular country. Most home growers are able to work with a spare room, converted loft, basement or worst case scenario, a bedroom cupboard. Designing a floor plan and making a rough sketch of where all of your growing equipment will go and how much space you have for the plants will certainly pay off long term. Knowing where to put your equipment and why it goes there in the first place should be your main concern once you have made that initial investment and acquired all your growing gear. Now you should calculate the volume of growing space. Which means discovering the area left after the exhaust fans, filters and pots are all in place. This will give you an idea of the amount of growing space your plants will have and how much head room you can give them. In turn this will help you decide which genetics will best adapt to that environment. Top Tip: Before choosing a strain as much as you want to grow it, calculate the amount of vertical grow space you have and realistically decide what is possible and which strains may be better suited. Further Reading: Feminized Cannabis Seeds, Autoflowering Cannabis Seeds and The Best Seed Banks Shipping to The USA. The lighting industry is more diverse than ever before meaning that growers are able to benefit form a wide range of options. 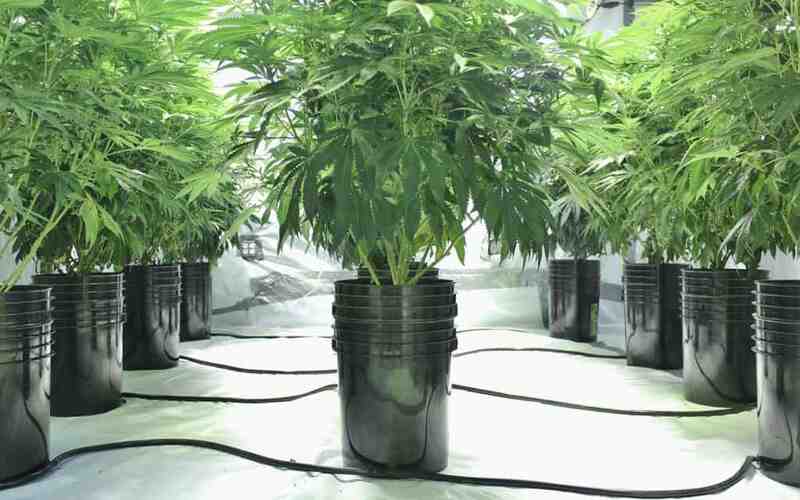 When growing Cannabis indoors, high intensity lighting is required. This can refer to high pressure sodium, metal halide or the more modern LED lights available. 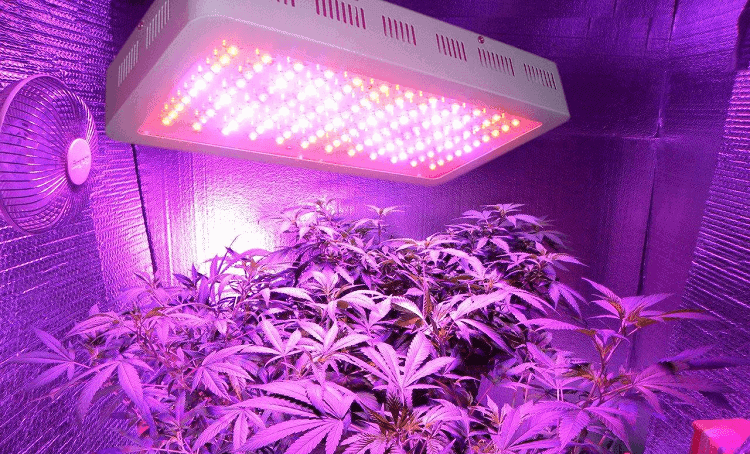 What should be considered when choosing which grow light you will run and how many, is not the number of lumens that a light can produce, as this is only a reading meant for the human eye curve. You should be looking at Photo Active Radiation (P.A.R). Photo Active Radiation means the actual bandwidth of lighting the plants receive and use the most. For example LED manufacturers focus on red, white and blue wavelengths of light, whilst high pressure sodium emit additional yellow and green lighting which is not as desired by plants for photosynthesis. One of the reasons why there is the argument on why LED are potentially more superior in terms of P.A.R and overall energy efficiency in comparison to other lighting systems..
You can simply measure the amount of P.A.R present in a certain area using a P.A.R metre. This device will give a reading of the number of photons measure in micromoles (μmol). The size of your grow space should determine how many lights are possible every square metre. If using H.P.S lighting, avoid the 400w output models. These can produce very little in return for the amount of electricity used in comparison to a 600w or 1000w output and have very little efficacy. Top Tip: LED lights can be expensive but are well worth the investment when considering P.A.R, heat output and electricity consumption. Using fluorescent lighting or anything less than a 600w HPS can be a waste of time, money and labour. Creating indoor lighting and an organic growing medium is one way to replicate the great outdoors inside. However, the most important thing is to replicate the same wind flow found outside. There should be a fine balance of air movement with the introduction of fresh CO2 rich air and the removal of old stagnant air. It is important to know that your exhaust fan must be connected to your carbon filter. The exhaust fan has the job of permanently removing old air extracted close to your grow lights. 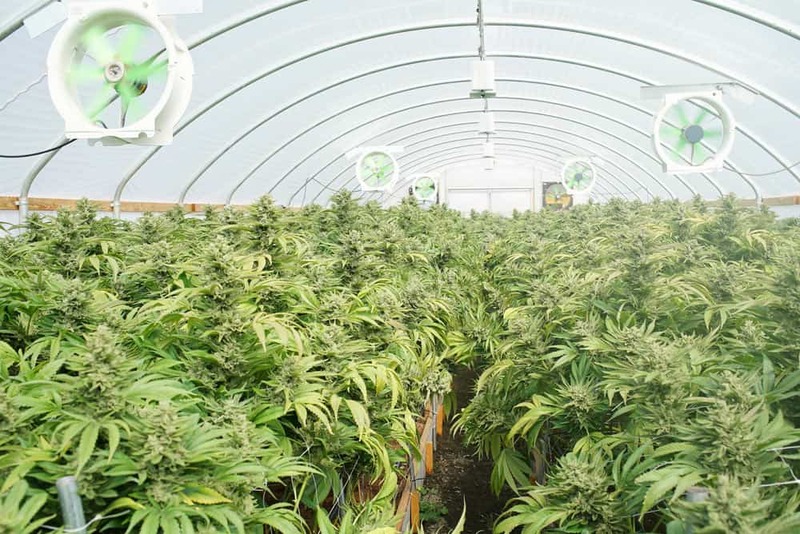 Growers can choose to supplement their indoor Cannabis plants with carbon dioxide. This is because the natural levels of CO2 found outside is around 400 ppm and cannabis plants have a much higher optimum level. Research has shown that Cannabis plants are able to absorb levels of CO2 of up to 1200-1500 ppm resulting in enhanced yields. Adding CO2 however requires high temperatures. Exceeding the plants comfort zone of 30 degrees and causing potential threats from pathogens later in the flowering stage. Make sure that your ducting is firmly fitted in an air tight manner around the fittings of the exhaust fans and carbon filter. The principal behind the exhaust fan is to create a dragging motion sucking air throughout the bottom parts of the tent where cooler fresh air will be brought in from an outside source. If possible ensure that the air being exhausted out and the fresh air being brought in through an open window, or smaller inline fan are not too close together. An indoor garden should be able to recycle the entire air capacity up to 15-20 times per hour. A great tip is to use multiple oscillating wall fans or ones placed on the floor. Do make sure they are rotating at different times and angles from each other. Top Tip: Keep your exhaust fans, oscillating fans and airflow permanent. Avoid turning these off once the lights go out as this will cause a build up of heat, moisture and will ultimately set an ideal environment for pathogens such as powdery mildew and grey mold that thrive in high humidity with little air flow. This is the part where a grower will get their hands dirty for the first time, as they pot up their growing medium. After your fans, lights and other equipment is firmly set up, the next stage is to prepare the growing medium. You will need to decide in advance if you will depend on organic hard foods and a strict water only diet. Or if you will feed mainly liquid nutrients or perhaps you have chosen to try your hand at hydroponics. There are many different types of substrates that can be incorporated into a long lasting organic blend and they range from inert growing mediums that contain zero nutritional element to those that are packed full of nutrient. Made from washed and treated coconut husks. Coco is a very versatile growing medium that contains almost no nutritional value. Classed as a hydroponic substrate due to its ability to retain water and also high amount of air pockets present. A very small fine white amorphous volcanic glass that has very high water retention. Usually used in sap culture, or mixed at a 50/50 ratio with coco when used in hydroponics dripper systems. Perlite is a great way to add air to the growing medium which is what roots search out for in the first place. The circular brown balls used in commercial landscaping and in hydroponic dripper systems. These small inert clay balls can be mixed in with an organic medium to create plenty of air pockets. A great tip is to use a few inches of hydroton to improve the drainage at the bottom of pots. A hydrous phyllosilicate mineral that is used for its ability to hold water. A soft and mushy substrate that works well when mixed with perlite, soil and other material that may suffer with dry patches. Highly beneficial in microorganisms and bacteria, worm castings are basically the recycled left overs after eating through the soil. Worm bins are used for recycling food waste and are able to process most food into a humic rich, ready to use source of food for plants. A white silicon rich stone that is made up of minerals and fossilised deposits of microscopic shells. An excellent source of trace elements and a perfect way to enrich a depleted farmlands with high mineral content. Most growers turn their noses up at the idea of using compost, however they don’t truly understand how beneficial it is not only for plants but for regenerating organic matter. Compost relies heavily on bacteria and fungi groups to breaks it down from a solid to liquid state and is a rich source of Magnesium. Derived from bat caves from across the world, bat guano is an excellent way to increase plant vigour, vitality as well as improve yield, aroma and taste. Normally high in Phosphorus, seabird guano tends to be high in Phosphorus and Potassium also. Top Tip: Creating a custom organic blend is a great way to produce a growing medium that has both the ability to hold moisture and packed full of nutrients and beneficial organisms. By using a dinner plate and wet toilet tissue, place the seeds apart inside the tissue and cover them making a blanket of wet tissue over the seeds. Then place a second dinner plate to create darkness. Do not add too much water and check every day that the tissue and seeds are not too dry or wet. Usually within 24-72 hours the seeds will produce white tails indicating they are ready to be planted directly into the growing medium. An old school technique that simply involves placing the seeds inside a glass of room temperature water and leaving in a dark cupboard. It is advised to swirl the seeds around and to check if any seeds float. Top Tip: When planting your seedlings into your growing medium, make sure that the white tap root, which looks like a small tail, is facing downwards. Plant your seedlings, tail down, 1cm into the growing medium and leave for the seedlings to sprout up. Top Tip: When germinating seeds keep the tissue or glass of water in total darkness and away from direct sunlight. 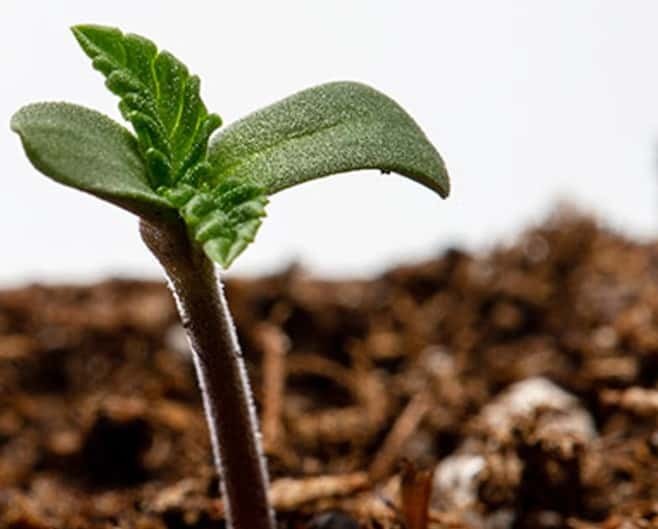 The growing phase, as the name states is the part where you will watch your tender seedlings mature into bushy, strong plants. Good bushy plants will then be ready to produce many flowering sites later on. The reason why lights are on for 18 hours a day providing only 6 hours of darkness is to mimic the long, warm and humid days that occur between the Spring and Summer months. Below is a short checklist of what you need to know for the growing phase. Indoor temperatures should be maintained at 24 degrees Celsius and a night time temperature of 18 degrees Celsius. Your plug timer will be set to 18 hours on and 6 hours off. Plants in the vegetative stage require relative humidity levels of 70-75%. Using a humidifier and hygrometer is necessary to achieve required relative humidity. Stomata on plants leaves which are responsible for converting CO2 from the air work better in high humidity. Vapour Pressure Deficit will be low when the humidity and temperatures are higher. There should be a constant air flow around the bottoms and tops of the canopy at all times. Cannabis plants will need a balance of N,P,K and trace elements. During the growing phase is also the best time to take advantage of plant training techniques. Growers use different training methods at different times in order to achieve a desired result. Below are the different methods of plant training and the benefits of each. A technique used to purposely reduce the growth hormone responsible for apical dominance and to promote multiple growing tops. To successfully pinch out a plant you just remove the crown growth tip and allow the two remaining axillary shoots to grow as a pair of crown shoots. Topping plants can cause multiple tops and a well balanced canopy. This is half of what performing a SCROG comprises of. Similar to pinching, however fimming involves removing the crown shoot yet purposely leaving on around 30% of the growth. The reason for this is to allow the plant to focus its energy on the growth below the crown shoot. This will cause the plant to take on a bushy nature and allow the top shoot to recover in time with the rest of the plants new growth. It is best done with a clean pair of scissors. Always make sure you leave at least 30% of the growth in tact. Standing for low stress technique. L.S.T involves using string and bending down the crown tip of a plant will cause the shape of the canopy to be evenly balanced without a main cola. 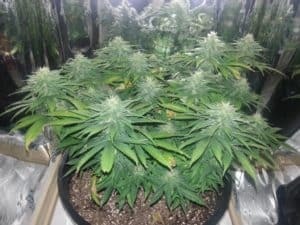 The trick is to tie the plants down to a low point in the canopy, while during this time the growth above the tied down main shoot will begin to grow upwards and take over as the dominant top shoots. Once the original tied down shoot grows back upwards, the growth structure will be established reducing plant size. 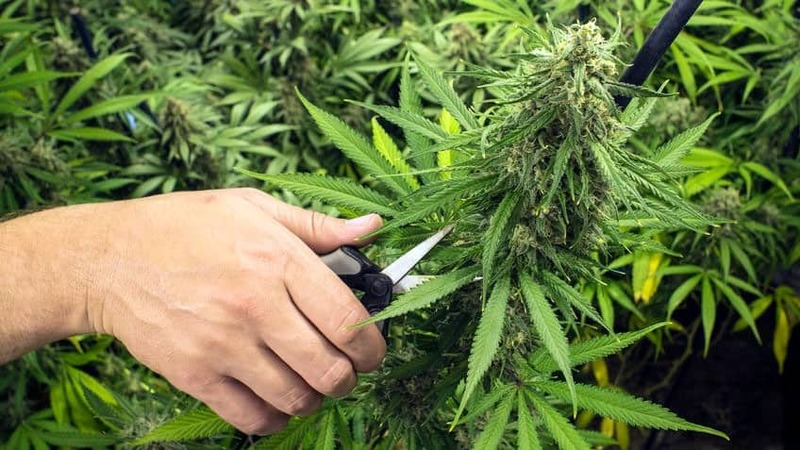 A way of clearing away the lowest parts of your plant to avoid unwanted lower buds forming. The other benefit of pruning your plants before the flowering stage is to focus all of the new growth energy on the upper parts that will receive the most intense lighting. When pruning make sure that you completely strip away all growth below a certain point. Usually 60-70% of the lower and middle growth is removed before flowering in order to grow only top heavy flowers. Top Tip: Incorporating different techniques at the right times can seriously increase your overall harvest. Make sure that you give plenty of time for the plants to recover and never perform training once flowering has began. Once your plants reach a height and size you are happy with and have plenty of headroom to stretch if necessary, you can now think about setting your plug timer from 18/6 and reduce the darkness period to 12 hours. Below is a short checklist you should consider for the flowering stage. An indoor temperature of 24 degrees Celsius should be maintained with a night time temperature of around 18 degrees Celsius. Set your plug timer to 12 hours of light and 12 hours of dark. Relative humidity should reduce to 30-35% as plants prefer dryer conditions when flowering. Plants will stretch during the first 14 days of transitioning to 12/12. Depending on the strain the plant can double or even treble in size. Phosphorus and Potassium will be the main nutrients the plants require during the blooming phase. It is necessary to feed plants only water for the last 2 weeks of the flowering phase. This is to flush out any built up salts and toxins from the root zone. Bud rot and powdery mildew will enter the grow room if there is poor air circulation and high humidity as plants flower. Top Tip: Flushing is a term used to wash the growing medium and root zone of any left over nutrients that may have built up during the duration of the grow. There are many benefits to flushing your plants. They range from pushing your plants to the very end as well as enhancing the overall taste and smoothness of the dried buds. This is the final and perhaps the most important stage for an indoor grower. The point where your beautifully grown, resin soaked plants will end up smelling like Amsterdam coffee shop quality with insane bag appeal. Or you will be relegated to a poor tasting, over dried flower that lacks any bag appeal whatsoever. There are a few factors that can influence a growers decision when to pull the plug on their crop. 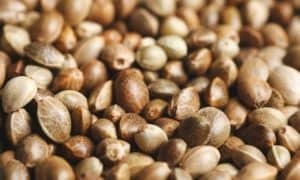 Beginner growers can depend on the flowering time on the seed packet, number of mature brown pistils, the resin production, biomass and size of the buds. What you should do is carefully examine the trichomes and check the stage of their development. Using a high powered lens you can check to see the colour, clarity and state of the resin gland. Clear white will indicate the plant is not yet ready to harvest and the grower should wait for the resin head to turn to a merky, golden hue. 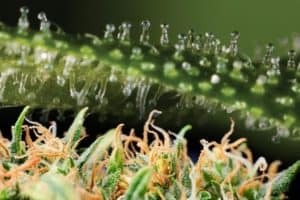 This is a good indication the trichome is fully mature and contains all of the cannabinoids and terpenes that truly represent the full spectrum of the plant. Meaning to trim your buds before the plant has chance to dry. 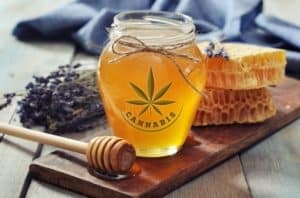 This is a great way to collect live resin trim to make bubble hash or extracts with. Storing buds away in an airtight mason jar to maintain the best flavour and quality..
Top Tip: When curing your buds, keep the jars out of direct sunlight as this can degrade THC. There you have it. 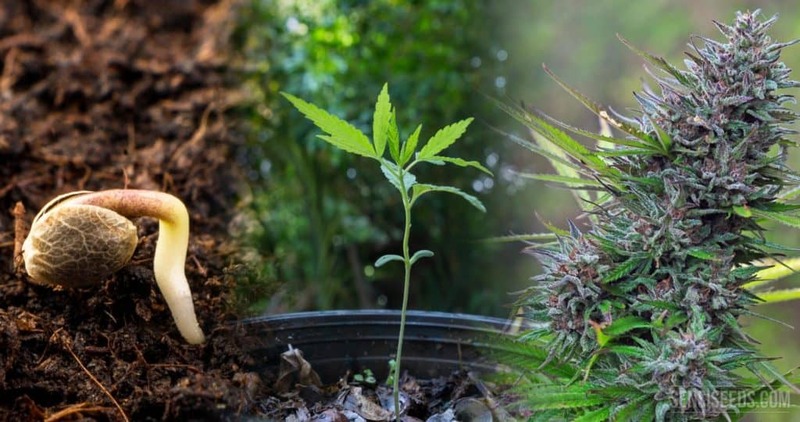 An 8 step guide to growing cannabis for beginners. Use this information wisely and you too could grow the perfect bud.